As a full-service Kia car dealer, Kia of Chattanooga also offers financing and auto service and parts on-site. Our Finance Department is committed to helping drivers of all credit levels drive the Kia or used car they want. Car buyers with low credit scores can even get auto loans, thanks to our bad credit financing! Whether you drive a Kia Optima, Sorento, Forte or a vehicle of another automaker, the Service Department at Kia of Chattanooga can provide top-notch auto maintenance and repair. We honor all Kia warranties and regularly perform service like brake jobs, wheel alignments, tire rotations, battery testing and replacement, oil changes, filter replacement and more on various makes and models. 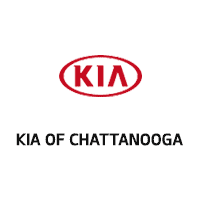 Kia of Chattanooga is committed to providing Chattanooga, TN area drivers with all of the automotive services they could ever need!